time steps in dynamic simulation. Is there any chance to shut down the output of OPF? How to modify an existing case data? Hi guys, How do i activate a python.exe file to run externally PSSe? 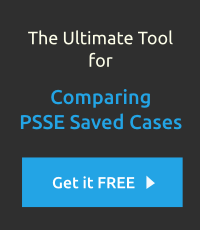 How does PSSE file match real-time branch flow measurements? How to export in excel file the contribution of neighboring buses calculated in PSS/E, after the iecs_currents api runs? Is it possible to plot three phase voltage in dynamic simulation?